Alsahwa Net- Yemeni officials always demand the United Nations to pressure the Houthi-Saleh militias in order to end their blockades on Yemeni ports and airports. 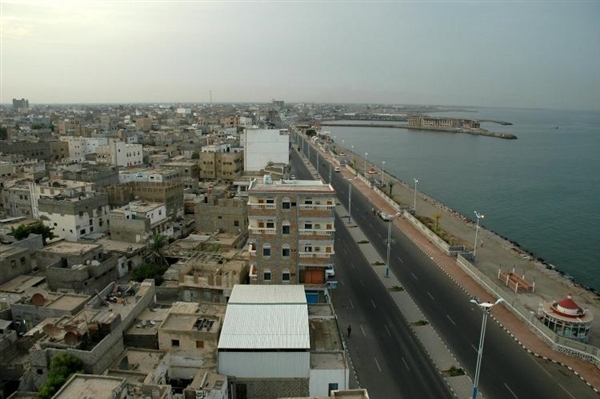 On Saturday, Minister of Local Administration Abduraqeeb Fatah demanded the UN to put pressures on the militias to end their siege on ports and airports of Hodeidah and Taiz. He said that the open of these ports and airports will help deliver relief and assistances to needy people and displaced persons in different Yemeni governorates. He said that a child dies every eight hours Hodeidah due to the lack of medicines, appealing to all human rights organizations to end their silence and put pressures on the militias to open ports, airports and roads. He affirmed that the Houthi-Saleh militias have been besieging Taiz for about two years, signaling out that the sieges imposed by the militias caused famine in some areas and the outbreak of epidemics and diseases.